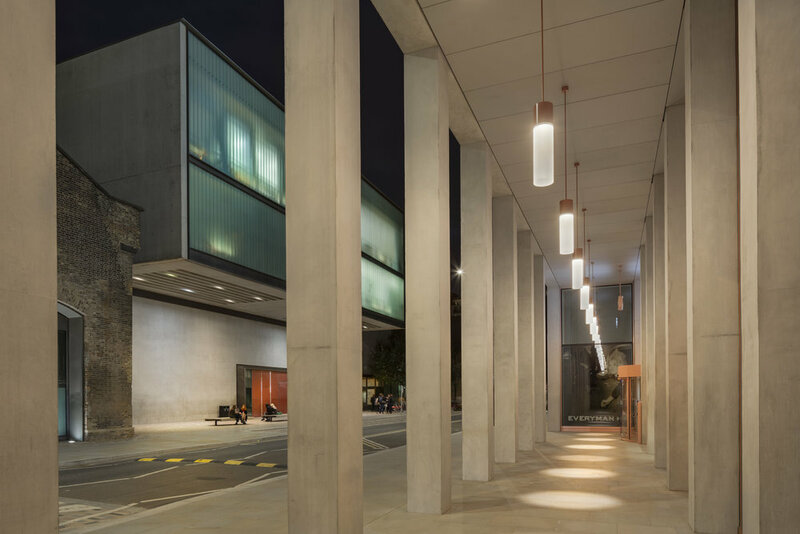 18 Degrees worked with client Argent to design the lighting to R7 development in London’s King’s Cross. 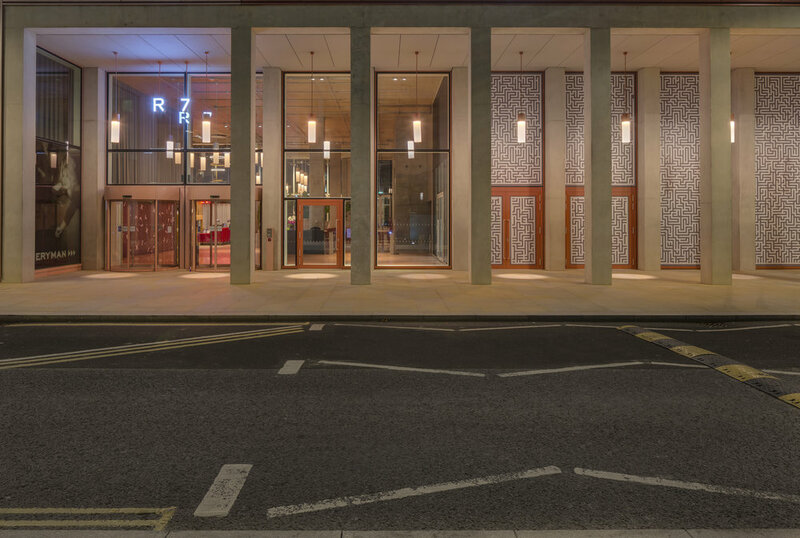 Set in the heart of King’s Cross, R7 Handyside is a commercial development spread over 10 floors. 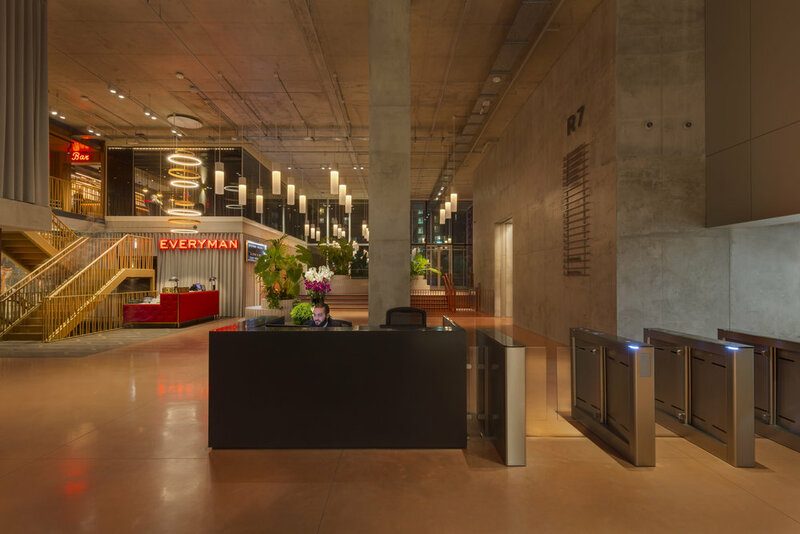 As well as providing prime-location office space, R7 features shared areas to encourage collaboration and a sense of community, including a 6,000 sq ft communal root terrace and a seven-metre high entrance lobby. The building is also home to several hospitality venues including a three-screen cinema and restaurant, and a number of retail outlets. The exterior of R7 Handyside is a visual feat, with its gridded aluminium façade finished in two shades of pink, one of which is a close match to the colour trend of 2017, millennial pink. With such a noticeable external design, the interior, including the lighting scheme, needed to be equally stunning. Leading London lighting design practice, 18 Degrees, were appointed as lighting designers for the development. The team set to work on a lighting scheme designed to BREEAM Excellence standards, which was a key requirement of the project. The result is a highly-efficient, low-energy scheme, without any compromise on the visual effectiveness of the design. 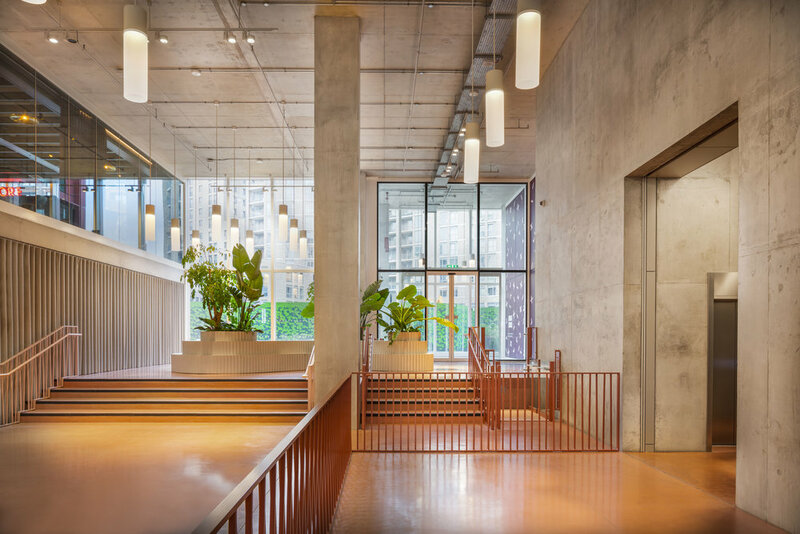 Christopher Knowlton, Director and Designer at 18 Degrees said: “R7 Handyside is such a striking and thought-provoking building, we were delighted to be appointed as its lighting designers. To contribute to such a unique architectural design was an amazing opportunity. 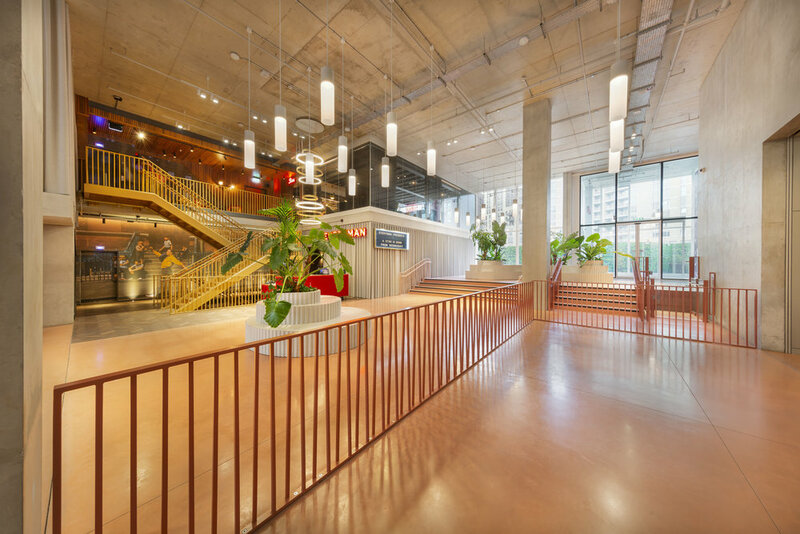 The multi-functional use of R7, from office space in the day to entertainment at night, requires a lighting scheme which spans all activities and light levels. 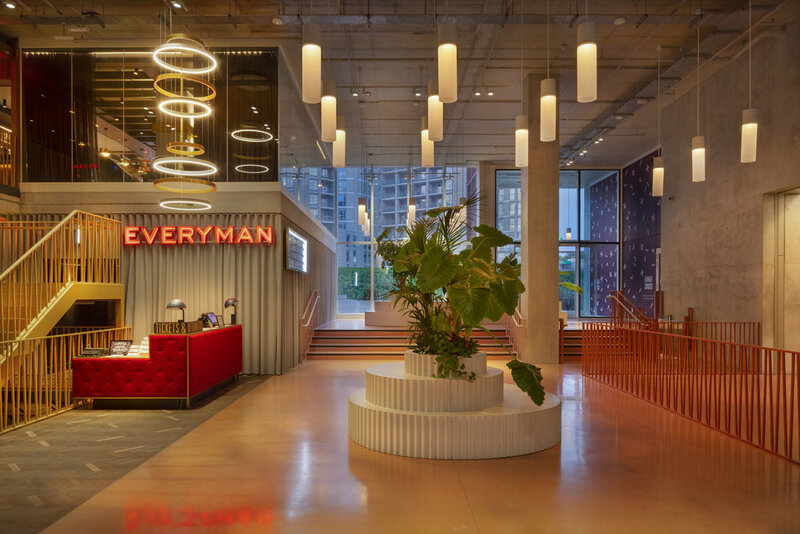 The warm-dim lighting appears consistent with the daytime use as a corporate commercial foyer, as well as the front door to the cinema and hospitality offerings in the evening. 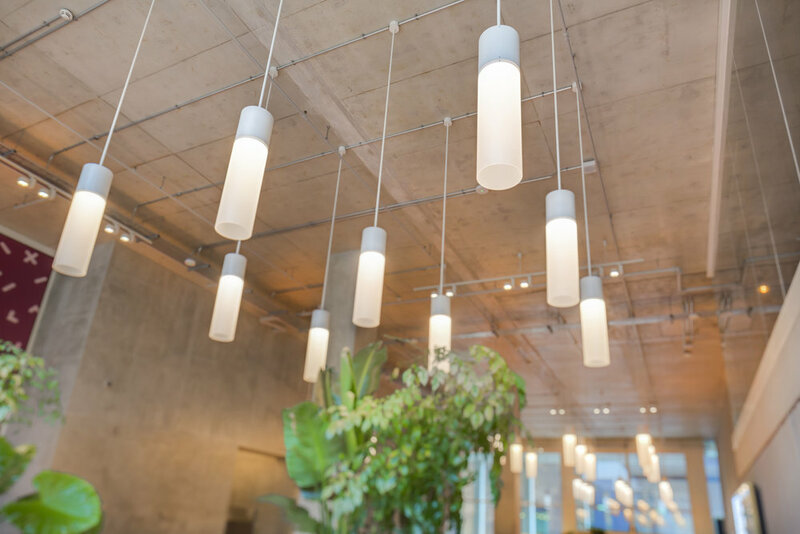 Automated lighting controls deliver cost and energy savings through the day by responding to the external lighting conditions. Frank Drew, Project Director at Argent, had high praise for the work of 18 Degrees. 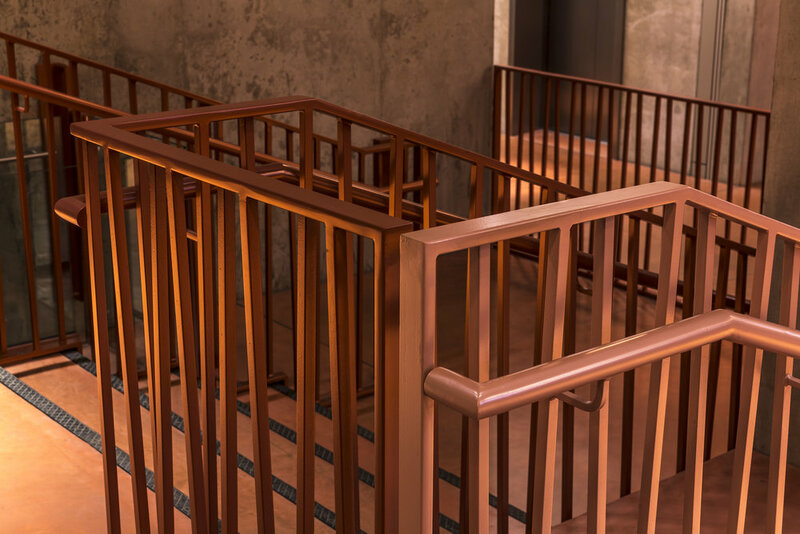 He said: “18 Degrees understood our brief and responded with a lighting design that was pitched perfectly, with an emphasis on integrating light within architecture”. 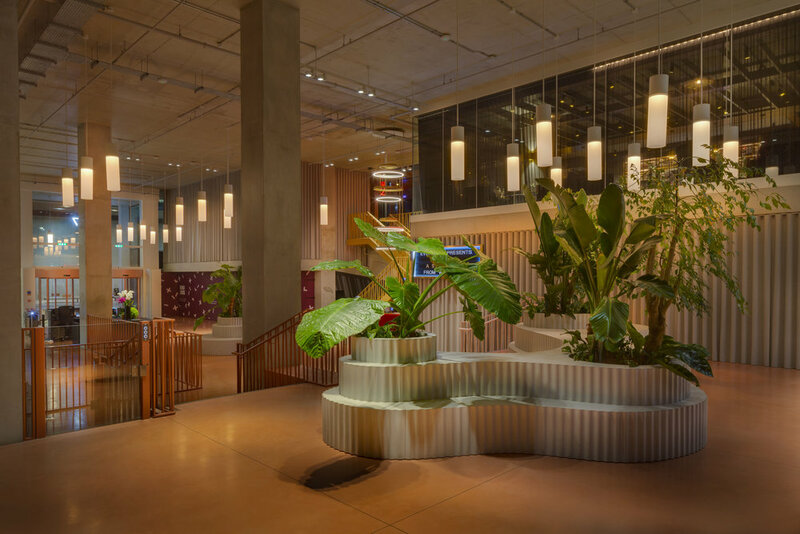 Christopher Knowlton concluded “Through collaboration with our client and peers within the design team, we have been able to deliver an inspiring lighting scheme for the project which has been very well received by our client and building tenants alike.